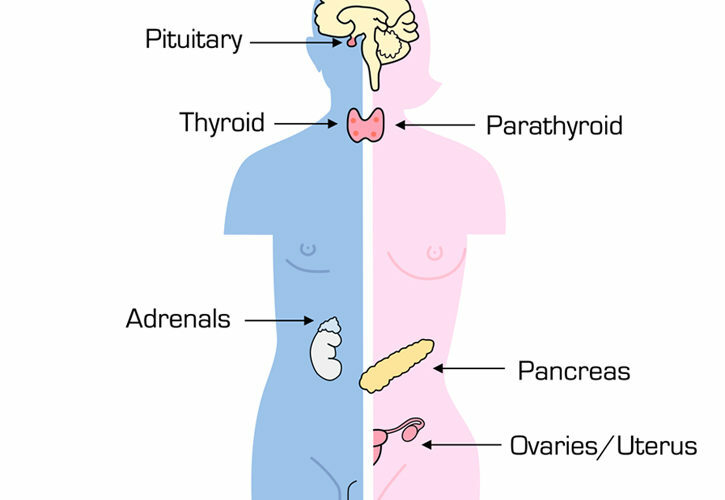 Hormones are chemicals circulating in the blood to carry messages or signals to different parts of the body. The name hormone comes from Greek meaning “to excite”, referring to the way each hormone excites or stimulates a particular part of the body. Hypothalamus – Situated in the brain and it’s attached to the Pituitary by a stalk-like structure. It acts as a collecting center for information concerned with the internal well-being of the body. Pituitary – It’s about the size of a pea and it’s located beneath the brain, just behind the bridge of your nose. It is often referred to as the “master gland” because it controls the functions of other glands. Thyroid – Located in the front part of the neck, near the windpipe. It controls many bodily functions such as heart rate, temperature and metabolism. Parathyroid – These are 4 tiny glands located behind the thyroid. They process the calcium in your body. Adrenals – As the name suggests, these glands are located just above the kidneys. They produce hormones essential for life and to help us cope with stress. Pineal – It’s a tiny gland located at the base of the brain and produces the hormone melatonin, helping to control your sleep and wake cycles. Ovaries – Besides housing the egg cells needed for reproduction, the ovaries also produce the hormones Estrogen and Progesterone, necessary for menstruation and female sexual characteristics. Testes – They produce the necessary hormones responsible for the production of sperm and other male sexual characteristics. Pancreas – Cells in the pancreas produce insulin and glucagon, hormones which regulate the blood sugar that provides the body with energy. Diabetes, which is under secretion of the Insulin hormone, is part of the endocrine disorders. 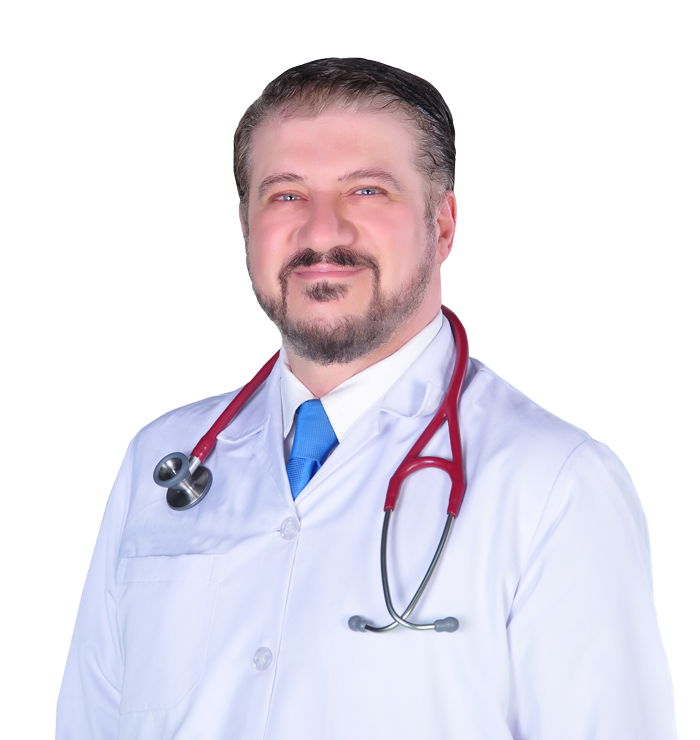 The clinic offers the evaluation, diagnosis and management of hormonal and metabolic disorders such as diabetes, obesity, thyroid disorders, high cholesterol, hypertension, osteoporosis, hirsutism (increase hair in women), and calcium disorders. The endocrinologists also deal with the diagnosis and management of tumors of the thyroid, pituitary gland, gonads and adrenal glands.